Christopher established ZSA (Zarak, Sweeney & Associates) Legal Recruitment, now Canada’s largest and only national legal recruitment firm, in 1997. ZSA also controls LexLocom, a legal processing outsourcing provider. In his role as CEO of ZSA Christopher exclusively recruits Partners and General Counsel. 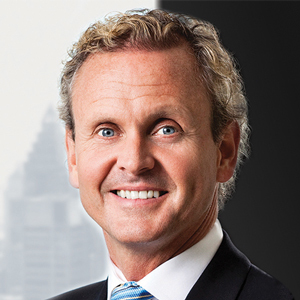 Born and raised in Montreal, Christopher attained a Bachelor of Arts degree in History from McGill University and a Bachelor of Laws degree from Osgoode Hall Law School. Called to the Bar of British Columbia in 1990, Christopher briefly practised in Vancouver before moving to London, England. There he secured a Graduate Business Degree from the London School of Economics (LSE) and a Masters in British Imperial History from London University. Christopher practised law in London before becoming a legal recruiter in London with QD (Quarry Dougall), then the pre-eminent global legal recruitment firm. Later, Christopher returned to Canada to bring the “London-approach” to legal recruitment here. At ZSA, Christopher founded both the Canadian General Counsel Awards (CGCA), the Quebec General Counsel Awards (PCJQ) and the Western Canada General Counsel Awards (WCGCA) to bring deserved attention to the senior in-house legal community. Christopher has written and spoken widely on the topics of legal recruitment, talent retention, firm development and career strategy, including, most recently, at the Northwind Law Leaders 2016 conference. Christopher has a passion for history and in 2002 initiated the “Re-Trial of Louis Riel”, a nationally-televised mock trial featuring, amongst others, Eddie Greenspan, Alan Lenczner, and Guy Bertrand. Christopher is a Chair of the Vimy Foundation, a charitable organization dedicated toward ensuring Canadians remember and honour our First World War efforts and sacrifice. With the Vimy Foundation he initiated the building of the Vimy Education Centre in France which will open in April 2017 to commemorate the 100th anniversary of the Battle of Vimy Ridge, a milestone in Canadian history. In 2010, Christopher was awarded the Minister of Veteran’s Affairs Commendation and in 2012 the Queen’s Diamond Jubilee Medal for his efforts in raising awareness for the accomplishments of Canada’s Veterans. Christopher is a Board Member of the Shakespeare Globe Company of Canada; on the Advisory Committee of the Cundill Prize in Historical Literature (McGill); and is an active member of the World Presidents’ Organization (WPO); and the Albany Club. Christopher lives in Toronto and Montreal, is married with four children, and enjoys travelling, running, spending time at his cottage in the Laurentians, the “Habs”, history, politics, and wine. I was hired to act as the head of Canadian tax for Chubb Insurance in the role of Tax Manager. I contacted ZSA to apply for this specific position. Chris acted as the liaison between me and the HR manager at Chubb Insurance. He also negotiated on my behalf my compensation after we had agreed on what I wanted to receive. Chris was always in constant contact making sure things were going well. He was able to debrief pre and post interview as well as post hiring. I will be using Chris again when my contract is over! ZSA was very good compared to other recruitment firms I have used in the past and there was nothing that ZSA couldn’t have improved on. I interviewed and got the role locked up quickly. I would certainly use the services of ZSA again.